Recently, 6 ECHS students and an ECHS alumna were recognized at the Women in Green Power Breakfast held at the Greenbuild conference in Downtown LA. The event focused on the "Power of Our Voice" and underscored the important role women play when they step up politically, professionally, socially and domestically. And, true to form, our students stepped up at the event! At the conference, each table was provided with three questions for discussion under the broad topics of “create/defy/slay.” Following the discussion, attendees were invited to share on the Soap Box. Seniors Ogechi Hubert and Carolyn Lam got into the action by sharing their thoughts in front of the hundreds of attendees. They commented on the “create” topic, which explored how women increasingly step into leadership roles to make a change in their community. Both Ogechi and Carolyn shared with the crowd their LEED Green Associate status and received roaring applause. They also shared examples from project work at ECHS and how it is shaping their thoughts and future goals. During the summer, Rachel Gutter, USGBC senior vice president of Knowledge and director of the Center for Green Schools, led a group of ECHS students through a LEED Green Associate exam prep course. ECHS alum and former Green Ambassadors intern Brittny Castillo flew back from Middlebury College, where she's majoring in Architecture and Environmental Studies, to attend Greenbuild. She, along with ECHS seniors, became some of the first people under the age of 18 to become LEED Green Associates. 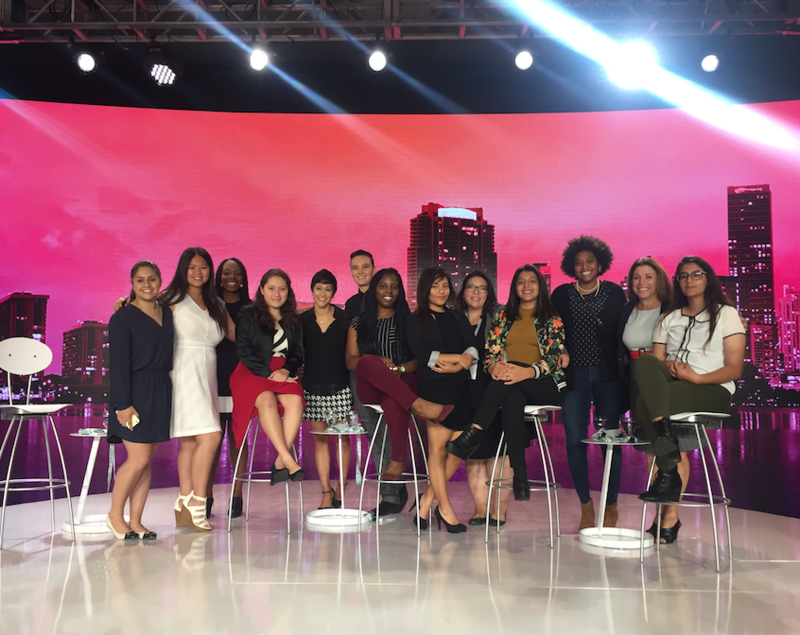 The event culminated with a panel discussion featuring ECHS alumni and social good strategist Jordan Howard who shared the stage with an impressive group of women including Congresswoman Maxine Waters.